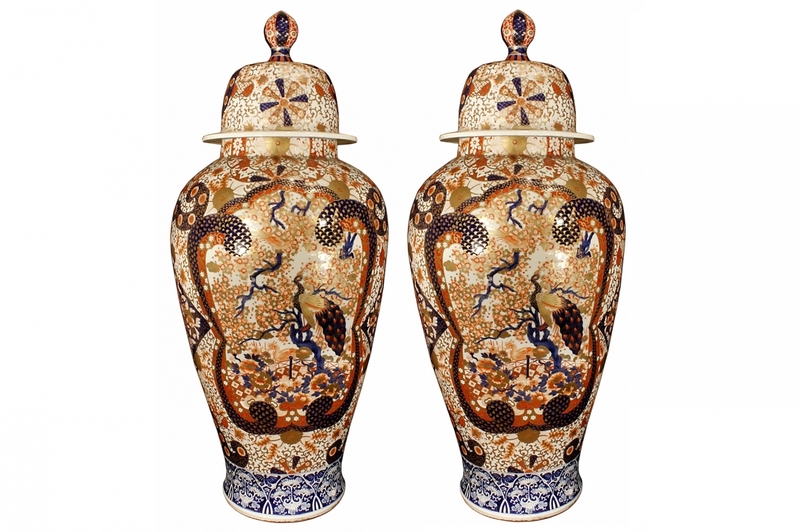 An important and large pair of mid 19th century Japanese Imari porcelain baluster shaped urns. 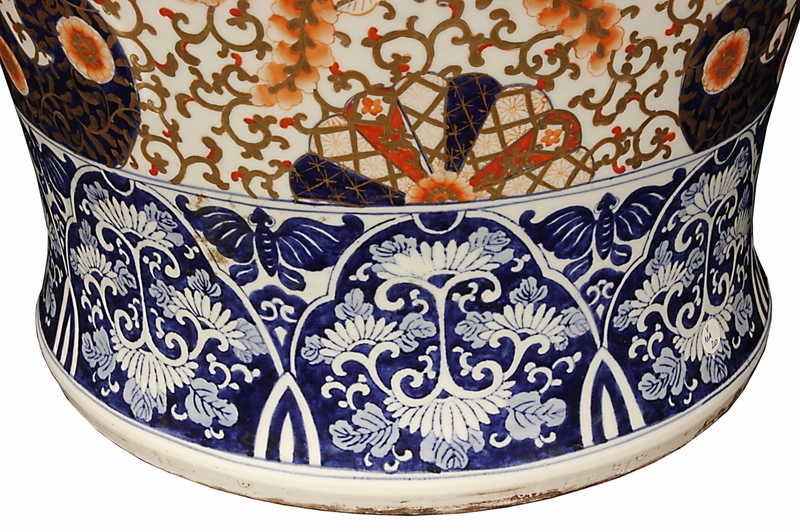 The pair is richly detailed throughout with a foliate landscape décor and a large Peacock. 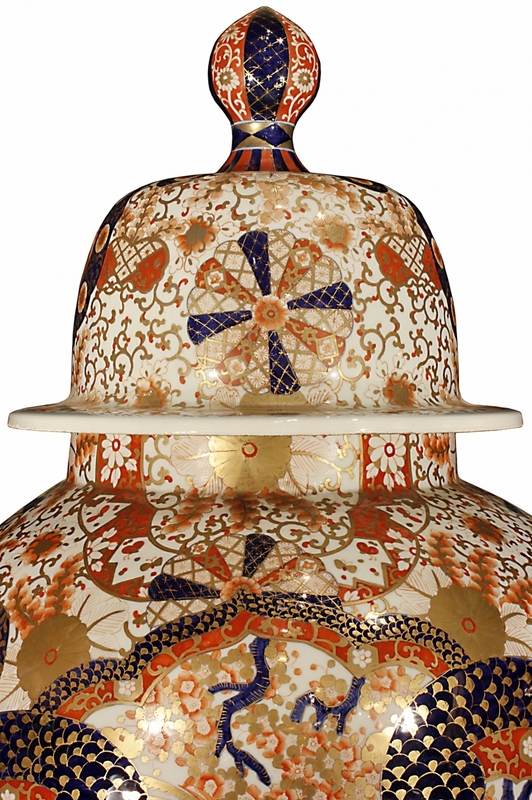 The similarly decorated lids end with a top finial. 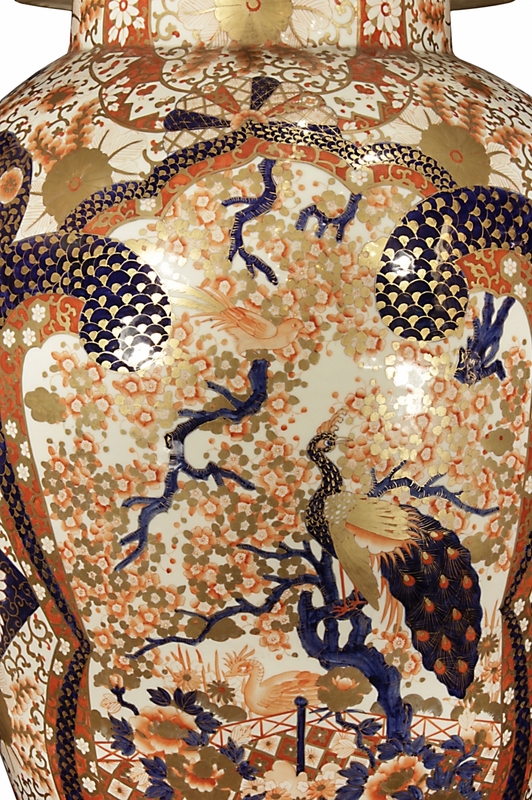 H. 122 W. 51 D. 51 cm. H. 48 W. 20 D. 20 in.